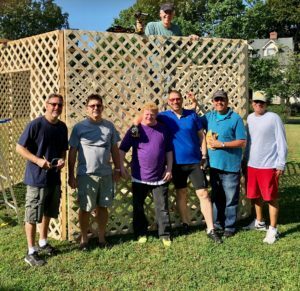 Here are some recent activities involving the Men’s Club. After many years, it was time for a new sukkah. That was just the type of challenge that the Men’s Club likes to get involved with. Plenty of discussions and planning enabled us to get it done in a few hours. Cooking? Yes, do that as well. 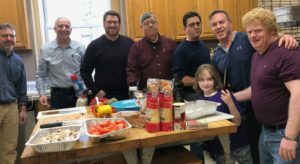 The Congregation Breakfast in January is the perfect time to try out our cooking skills. We’re always looking for people to join us for these Men’s Club activities.